It was fuelled by "a steady diet of pizza, pasta and tear-inducing ghost peppers we bought from the chili-man in Lecce"
Beirut have revealed plans for a new album called Gallipoli. Frontman Zach Condon detailed the entire recording process in a lengthy message posted online today. Condon said the idea for the new record began when he had his organ shipped to New York form his parents home in Santa Fe. Once it was settled in Brooklyn with him, Condon began writing songs on it in the winter of 2016. But after a skateboarding injury in the spring of 2017, he went to Berlin and decided to settle there. Producer Gabe Wax and his bandmates Nick Petree and Paul Collins came to Europe to work with him, eventually recording much of the album in Lecce in the Puglia region of Italy (the heel of the boot). "The next month was a flurry of 12 to 16 hour days in the studio, with day trips around the coastline and a steady diet of pizza, pasta and tear-inducing ghost peppers we bought from the chili-man in Lecce," Condon writes. "We stumbled into a medieval-fortressed island town of Gallipoli one night and followed a brass band procession fronted by priests carrying a statue of the town's saint through the winding narrow streets behind what seemed like the entire town, before returning late to Sudestudio. The next day I wrote the song I ended up calling 'Gallipoli' entirely in one sitting, pausing only to eat." He continued work on the album alone in Berlin, before calling Wax back in for final mixing and mastering. There's no release date set for Gallipoli yet, but you can read all the details of Condon's making-of experience here. 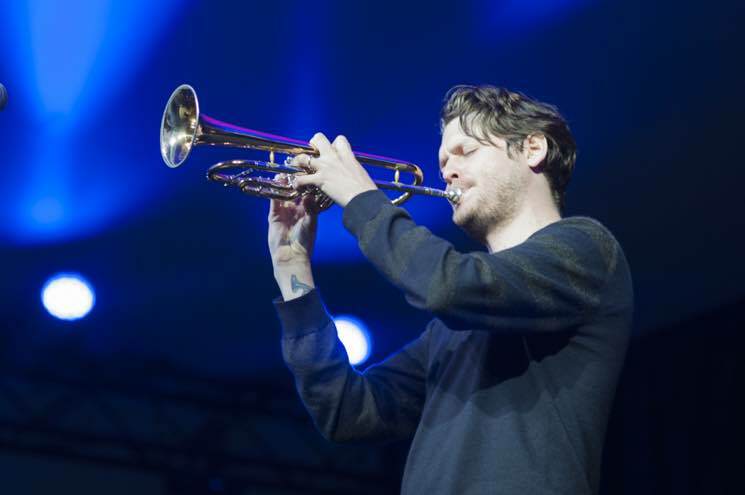 Beirut's last studio album arrived in 2015 with No No No.